Here at Bay Area Boxing, we are providing individuals of all ages and fitness levels with quality training classes in boxing, kickboxing, brazilian jiu-jitsu, and mixed martial arts. We also specialize in a unique boxing and kick boxing workout. A fighter’s workout for everyone that includes Cardio Boxing, Cardio Kickboxing, Strength Training, Anaerobic and Aerobic Cardio, Kettlebell and group personal training for adults and kids of all ages. We have a very high availability in conditioning, as well as, full contact instructional/sparing classes. Check the schedule tab to see what times work for you!! Bay Area Boxing is dedicated to providing high quality, authentic, boxing, kickboxing training classes in a clean and safe environment. Whether your just looking for a better way to get in shape or you would like to one day compete, Bay Area Boxing is a great place to start!! Our boxing and kickboxing conditioning classes are 1-hour in length and BURN 800-1000 CALORIES PER CLASS! Get both, cardio and resistance training at the same time. The equipment requirements are elementary: heavy bags, gloves, your body, a timer and music. And you’ll get a workout that doesn’t miss a spot: a 1,000-calorie-an-hour cardio bomb and a superb all-body toner that builds shoulders and forearms and works legs, hips, abs, upper back, triceps, biceps and lats. Want to blast your deltoids? Try holding 16-ounce gloves at chin level for two rounds. Bay Area Boxing also provides instructional classes in Boxing, Muay Thai kickboxing, MMA, and has a Brazilian Jiu- Jitsu belt program. Instructional classes are focused on learning techniques, practicing the different techniques that your learning, and most importantly learning how to execute the techniques that you practice in real live sparing situations. In addition to classes, Bay Area Boxing has a complete weight room and cardio equipment. 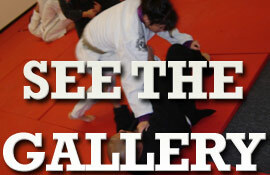 ALL OF OUR INSTRUCTORS ARE PROFESSIONAL LEVEL FIGHTERS AND MARTIAL ARTISTS.